Ball valves which can be manually opened and closed should be familiar to most. 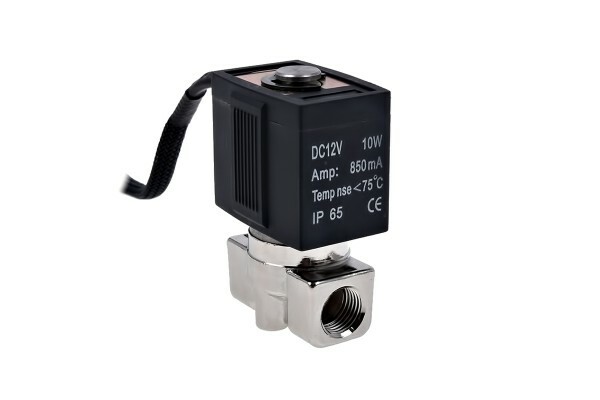 With this product you have an electronically-controlled valve. When electricity is conducted through the 4-pole Molex plug to the connector, the fastener opens magnetically. When the current is stopped, the magnets close the fastener on their own. The magnetic closure serves to improve the safety of your water circuit. If, for example, you are using external radiators, you can place the valve in front of the bulkhead connector on your shell in order to prevent water from running out, in case the external hoses or the radiator are damaged. The same goes for the transport of water cooled systems with external elements. But this valve can also be used in places other than PC systems. One possibility might be with a small filling machine. Here the volume of water can be adjusted electronically by timing the valve closure. The valve could also serve as a safety closure in machines, for example as an emergency shutdown in case of a power outage. Welche Anschlüsse hat das Ventil? Das Gewinde ist ein Standart G1/4".